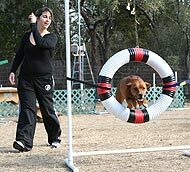 2) drills to practice various maneuvers that would be helpful in running full courses. 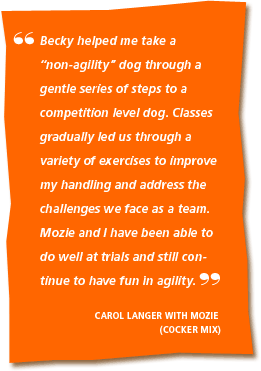 We had a rudimentary knowledge of agility when we started classes with Becky Saltwick. My partner, Coco, had a long adolescence that caused unreliable behavior in class. 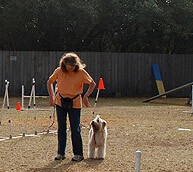 With Becky’s patience and skill as an agility instructor, we were able to develop competition skills. 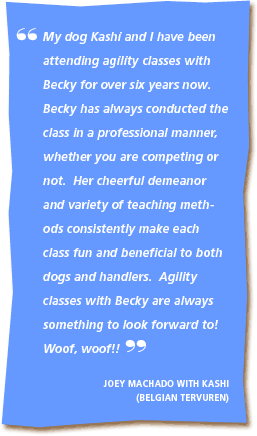 I often felt incompetent but Becky was always cheerful, always encouraging and coaching. 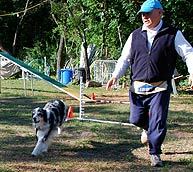 As a handler, I have more confidence and Coco enjoys the time spent on the course with the other dogs.